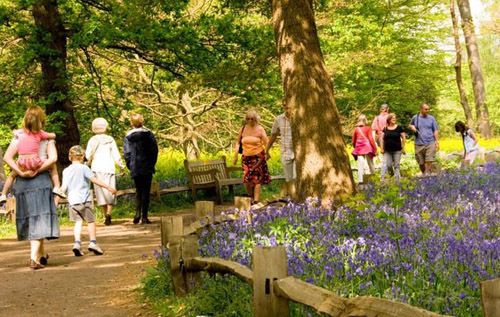 Two friends from North Norfolk are organising a sponsored family walk around Blickling Estate to raise money for Cancer Research UK. Judith Banks of Saxthorpe and Angela Hunter of Sheringham decided to put on the event walk in memory of their late husbands, Revd Michael Banks and Leigh Hunter, who died from rare forms of cancer. They hope to raise £3,000 for life-saving research to help men, women and children in Norfolk and across the UK. Spring March for Cancer Charities will take place on Saturday 9 March, starting at 11.30 am. There will be three routes: 7 km, 3 km and a shorter route for wheelchair or disabled participants. The event is sponsored by Tesco and Corpusty Stores & Post Office. 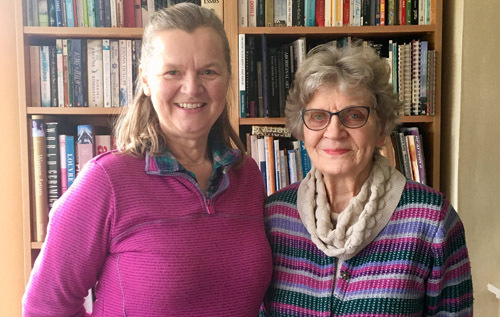 Laura Holland, Cancer Research UK’s fundraising manager for Norfolk, said: “We are absolutely delighted that Angela and Judith have decided to hold such a lovely event to raise vital funds for Cancer Research UK. “They have organised the walk and everything around it, and I am sure it will be fabulous but highly emotional for everyone who takes part. We can’t thank them enough for their support and want to wish them the very best on the day. Angela Hunter (left) and Judith Banks.